For agencies, it’s not about surviving. It’s about operating differently. 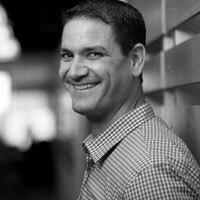 Agencies are increasingly aware that they are fighting for business with much larger organizations, says Mirum CEO, Dan Khabie. The way agencies will prove their value is not in comparing themselves to larger competitors, but by operating differently to get the job done. As everyone tries to own the customer experience, typified by consulting firms moving downstream and technology companies entering the marketplace to provide services, digital agencies are further having to jockey for position as a full service partner in order to compete. Not only that, this tremendous industry flux is not without its casualties, as once stable players struggle to navigate these choppy waters. And what’s our typical default response as an industry when faced with these inevitable trials? Tip-sheets on how best to survive. Tip-sheets that are evidently not working. With this in mind, it is my humble opinion, that survival is the least of an agency’s worries in today’s climate. Not only that, if it’s all you are concentrating on, then you’re most certainly doomed to a date with Davy Jones’ Locker. Agencies, instead, should be keenly focused on how to operate differently. I don’t just mean blocking and tackling efforts such as consolidating P&L’s, integrating collaboration tools and being customer focused. I mean, fundamentally retooling the industry we are in. This needs to be a widely adopted given, primarily because our clients continue to become more sophisticated, hiring talent we, as agencies, would traditionally hire. The tools that have allowed us to grow our company in the past, are becoming core to any in-house digital marketing organization. Therefore, it is more critical than ever, that we fundamentally reinvent the business in which we work. To that effect, I have witnessed first-hand three characteristics from agencies working all over the world that make them stand out from the crowd. Clients today continue to invest heavily in the digital building blocks, but very few have earmarked enough capital resources and team members that are truly obsessed with tinkering and looking into the future, with regards to projects. For example, we came up with an idea to create a digital vending machine for the homeless throughout our global locations, which would dispense products that they can use in everyday life based upon need, calculated with the help of homeless shelters, Joe's Village and the Salvation Army. What’s more, this wasn’t a brief issued by a client. It was what the team members wanted to do and we supported them in doing so. Sometimes you just need to follow your instinct. 2.They give clients something they can only find in your agency. One of the major advantages of being a full-service digital agency is the ability to work on several clients and help them all with the digital challenges they are facing. As a result, you build teams with a very diverse skill-set and because you can use those resources across several clients it allows you to create an environment that houses a dynamic problem-solving machine. This is an easy win that needs to be capitalized on, as most clients have a hard time staffing this type of diversity. 3. They are always a step ahead but know how to tie it back to business goals. Because agencies are exposed so early on to what is going on in their partners-ecosystems, we get a unique head start on both consultants and our clients, which should be exploited to its full. This first-mover advantage is pivotal, because it allows us to begin playing around and driving solutions into the marketplace before most companies can get briefed. The ‘thrivers,’ were doing live-stream, before companies were streaming, hosting sites in the AWS cloud before it was mainstream, building Alexa skills in advance of widespread adoption and are now doubling down on AR/VR. If you are ahead of everyone and you can tie those ideas back to business purpose, then you have a long successful company ahead and you can stop worrying about surviving.